Despite progress being made concerning nuclear talks with Iran, Russia says US and EU officials are trying to “think up” new reasons to deploy a missile shield in Europe. Moscow says there is no need for the defensive system in Europe. Russia’s Foreign Ministry was commenting on the latest statement given by US state officials. Washington says that even despite the historic deal concerning Iran’s nuclear program, this does not mean a plan to deploy an American missile shield to Europe will be revised. “The threat to NATO countries posed by the proliferation of ballistic missiles continues to increase… the framework [of the Iran nuclear program] agreement does not change that fact,” NATO’s spokeswoman Oana Lungescu told Sputnik last week. However, Moscow was scathing about the decision, saying Washington was backtracking on promises it had previously made. “These interpretations definitely go against assurances US President Barack Obama made in Prague, who maintained that with the elimination of the ‘Iranian threat’ there would be no reason for the deployment of the missile shield in Europe,” said the Ministry. “As long as the threat from Iran persists, we will go forward with the missile system,” President Obama said in April 2009. “If the Iranian threat is eliminated, we will have a stronger basis for security. 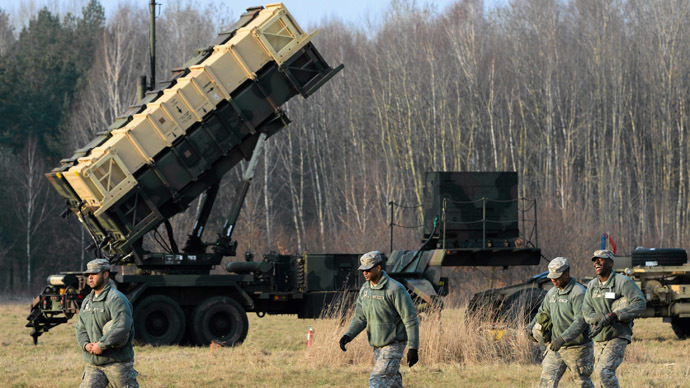 And the driving force for missile construction in Europe will be removed,” Obama added. Now both Brussels and Washington are looking for new “grounds” for their missile program, Moscow says. “This serves as yet more proof that references to the ‘Iranian [missile] threat’ served as smokescreen, whereas the genuine objective is the creation of an anti-missile program with quite a different purpose,” Russia’s Foreign Ministry wrote. Russia’s deputy Prime Minister and a former representative of Moscow to NATO, Dmitry Rogozin, made a similar query on his Twitter account on April 3, after statements concerning Iranian’s missile threat started to re-emerge. The controversial missile shield in Europe will stay because “the Missile Defense System was never about Iran,” Rogozin said. All declarations about the US missile shield in Europe not being aimed at Russia look even less convincing now, the Russian Foreign Ministry said. “The obvious rejection of the US and NATO [member states] to take into account the positive results in trying to settle the Iranian nuclear problem, serves to prove our conclusions about the anti-Russian nature of the missile shield being deployed in Europe,” Russian Foreign Ministry stated.